Hi, I'm Daisy! I’m adopted! 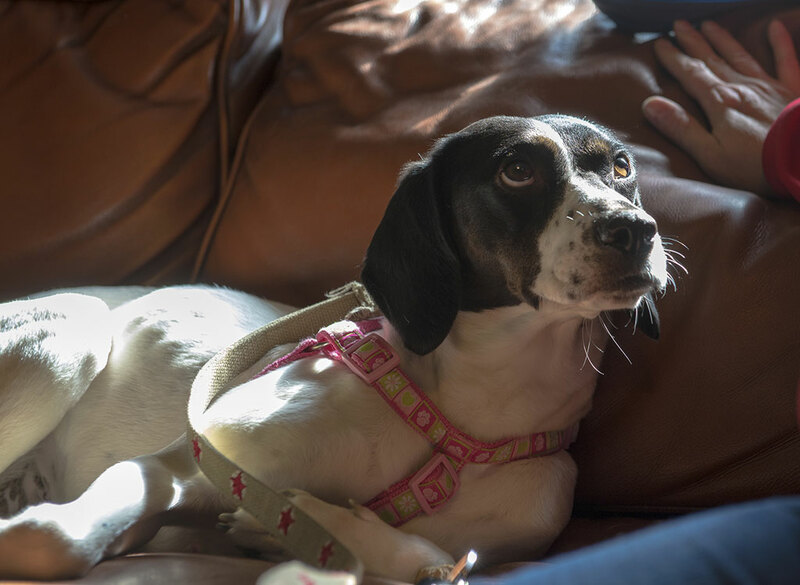 Daisy was adopted November 2014! 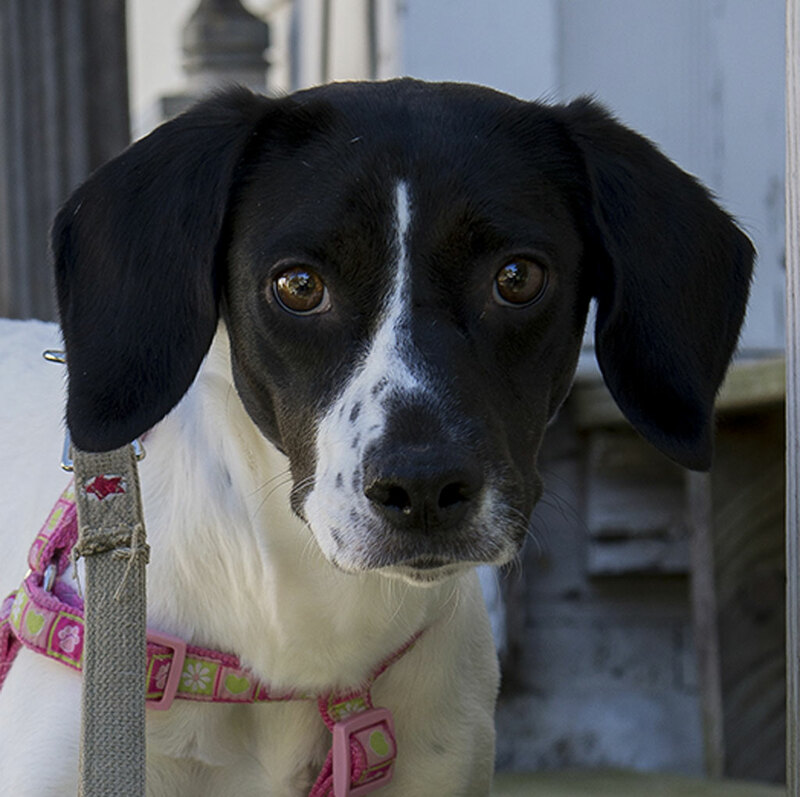 Daisy is a one-year-old pointer mix with a face that just pleads for you to love her. She likes to cuddle but she LOVES leash walks. She holds her head a little higher and wags her tail a bit faster when she’s outside or on a walk. Along the way, she’ll stop to glance back at her human to make sure they’re keeping up. 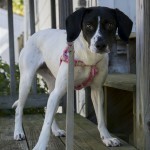 Then she’ll give a perfect “pointer” pose. Once you meet her, you’re sure to be hooked. 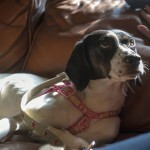 If you are interested in Daisy! I’m adopted!, consider letting us know by filling out a (no-obligation) adoption application. Please consult our Adoption FAQ before contacting us. 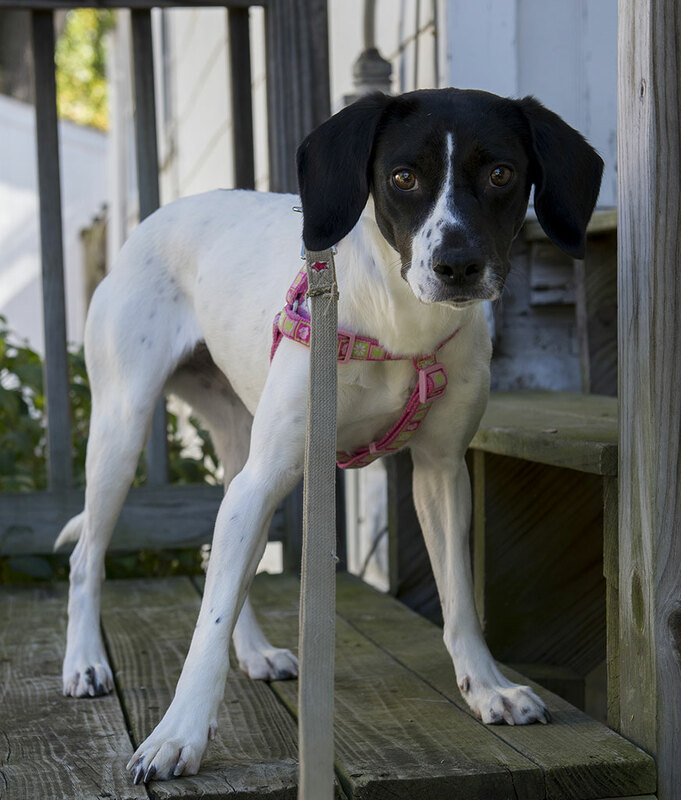 Daisy IS expecting to attend the next adoption show, Saturday, November 22nd at the Bowie PetSmart, although there is always a chance that plans may change.